Recently, when my friend Lisa had me over for dinner and said we were having Cooks Illustrated’s White Chicken Chili, I was excited. Lisa is a very good cook (and amazing baker!) and I knew it would be fantastic. And, it was SO GOOD. I cleaned the bowl and wanted more, but I was polite. Thankfully, Lisa sent me home with some leftovers and about two weeks later, I made some for myself. I turned down the ‘heat’ a little bit, but other than that, I followed the recipe. I’ve written before about Cooks Illustrated. I have an online membership (just $35 per year) and I use it all the time. I used to be intimidated by the magazine, but then I just dove in and it’s amazing. I’ve learned about different cuts of meat, how to grill, the best knives and more. What I love best about cooking is that you can keep learning as you go – whether it’s about cooking techniques, tools or ingredients. Cook’s Illustrated and America’s Test Kitchen are excellent sources for all these things. 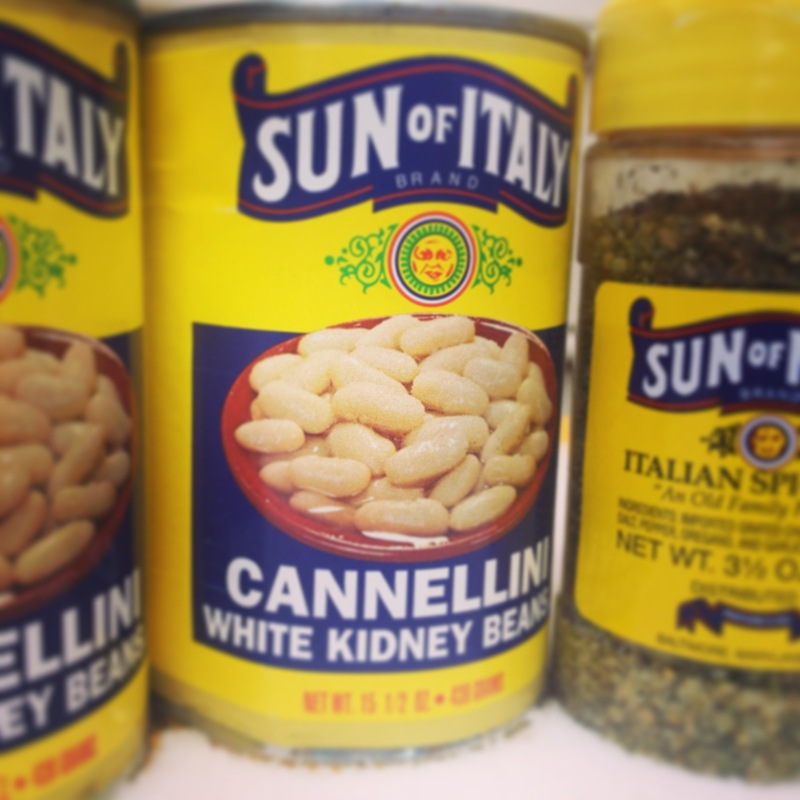 For the cannellini beans for the chili, I used Sun of Italy‘s canned beans. I’m a big fan of supporting local businesses and Sun of Italy is a LOCAL Baltimore family-run business run by the Pastore family, so I’m happy to use their products in my kitchen. I also used their beans to make the most fabulous white bean dip this weekend. 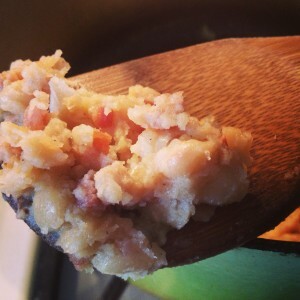 The recipe is from the Cooking Channel’s show Extra Virgin, which is hosted by Gabriele Corcos and Debi Mazar. Extra Virgin is one of my favorite shows. It’s Ina Garten-esque, in that they often host parties with friends and cook with in-season, local ingredients (not always….but often) and it’s fun to watch them put it all together. On a recent episode, they actually foraged for greens in Prospect Park in Brooklyn – so, maybe I could forage in Wyman Park?! Speaking of Sun of Italy, they’re having a contest. It’s called BaltAmore – and they want to know why you love Charm City. The prizes are excellent – I personally would love to win second prize, which is dinner at La Scala – yummm. Contest deadline is February 28, so, enter now! Highly recommend this chili – it’s completely delicious!